Recent observational studies have shown an association between gabapentinoid anticonvulsants and greater motor recovery after spinal cord injury. 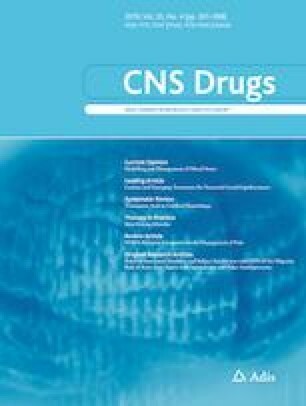 There is preclinical evidence to suggest that other anticonvulsants, such as sodium channel blockers, may also confer beneficial effects. The aim of the current study was to determine if non-gabapentinoid anticonvulsants were associated with neurological recovery after acute, traumatic spinal cord injury. This was an observational cohort study using data from the Sygen clinical trial. The primary outcome was total motor score recovery in the first year after injury. Anticonvulsant use was extracted from concomitant medication records; individuals were classified based on early administration (within 30 days of injury), or late/no administration. Motor recovery was compared using linear mixed effects regression models with a drug-by-time interaction, and adjustment for confounders. A secondary analysis incorporated a propensity score matched cohort. Of the cohort (n = 570), 6% received anticonvulsants (carbamazepine, phenytoin, clonazepam, phenobarbital, and valproic acid) early after injury. After adjustments for initial injury level and severity, early exposure to non-gabapentinoid anticonvulsants was not associated with motor neurological outcomes (p = 0.38 for all anticonvulsants, p = 0.83 for sodium channel blockers, p = 0.82 in propensity-matched cohort). Non-gabapentinoid anticonvulsant exposure was not associated with greater or lesser neurological recovery. This suggests that these medications, as administered for the acute management of spinal cord injury, do not impact long-term neurological outcomes. The online version of this article ( https://doi.org/10.1007/s40263-019-00622-6) contains supplementary material, which is available to authorized users. F. Warner is supported by the University of British Columbia Four Year Fellowship. Dr. Jutzeler is supported by the International Foundation for Research in Paraplegia (IRP) and is a Craig H. Nielsen Foundation postdoctoral fellow. Dr. Cragg is supported by the Society in Science—Branco Weiss Postdoctoral Fellowship and the Michael Smith Foundation for Health Research (MSFHR). Dr. Kramer is supported by a Scholar Award from the MSFHR and Rick Hansen Institute as well as the Canadian Institutes of Health Research (CIHR), ERA-NET NEURON, Wings for Life, and IRP. The authors Freda M. Warner, Catherine R. Jutzeler, Jacquelyn J. Cragg, Bobo Tong, Lukas Grassner, Frank Bradke, Fred Geisler, and John K. Kramer declare that they have no potential conflicts of interest that might be relevant to the contents of this manuscript. Approval for this study (secondary analysis) was received from an institutional ethical standards committee on human experimentation at the University of British Columbia. R Core Team. R: A language and environment for statistical computing: reference index [Internet]. Vienna, Austria: R Foundation for Statistical Computing; 2015. Available from: https://cran.r-project.org/manuals.html. Accessed 11 Feb 2019.